To ensure the most faithful representation of the original acrylic-on-canvas painting is achieved, each Edition has been overseen by the Artist to adjust colour balance and image quality. The images are then printed using archival canvas and inks to produce fade-resistant, incredibly-detailed, vibrant reproductions of the original paintings. Each print is then hand-embellished by the artist, using high-quality Golden and Liquitex Acrylics, recreating the textural surfaces and brushstrokes of the original painting. The attention paid to each Giclee ensures its own individual depth and colour, resulting in each print uniquely rendered. The print is then signed and numbered by the Artist, and carefully prepared for shipping either rolled or on stretcher bars and ready to hang, as per your order. 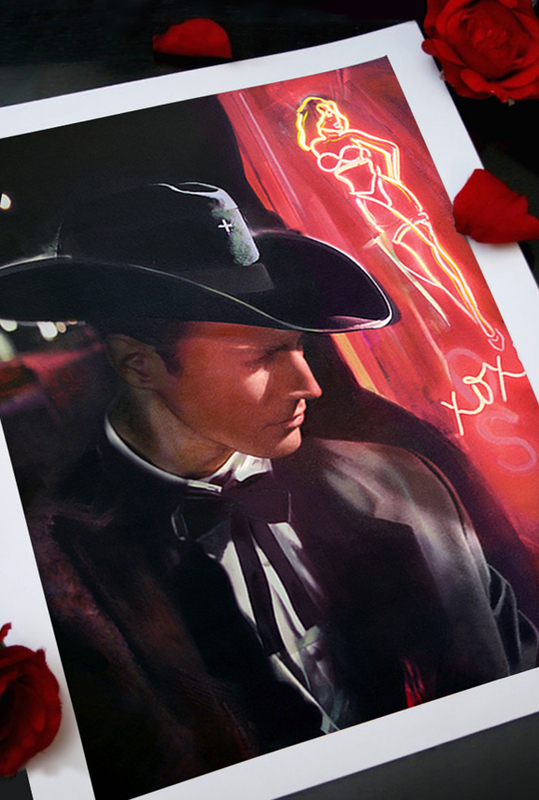 The Artist is happy to sign or dedicate the back of your print upon request. A Certificate of Authenticity accompanies each order, certifying your Giclee is authentic and from the Artist. It also provides additional information about the Giclee, including the specifics of the original painting (size, medium, year created), as well as details about the Giclee including Edition Number and how to care for your Giclee. Retaining this Certificate ensures the integrity of your purchase. Payment can be made via Amazon Pay from your existing Amazon account. We also accept Visa, Mastercard, American Express and Discover through the Stripe encrypted payment portal. Orders placed within the US are typically shipped within 10-14 business days of completed purchase. Shipping rates are automatically calculated based upon your order and location. Please note that international orders have a longer expected delivery time. The status of your order, including shipping information and tracking number, will be provided and updated by email. Our orders are meticulously packed against loss or damage; however, should the unexpected occur, please file a damage claim with the carrier and contact us immediately. Once the claim has been approved, we will make every effort to issue you a prompt replacement. Please bear in mind that as each Giclee is individual, your print will not contain the same edition number as the damaged order. Additionally, because each Giclee is hand-embellished, the original turnaround time of 10-14 business days may apply. We do not accept returned or refunded orders unless the item arrives damaged, in which case the above policy will apply. We are happy to ship rolled and stretched canvases to countries outside of the United States. Please use the CONTACT US form on this website for shipping and order placement details.